For signups, make sure you make a register an account. You could also request a new license in your settings page if you want, but the default license will be allowed into this event anyways. Thanks to Zach, Tony, SMR, and Jay for the track. If you enjoy MXSLobby and want to help with server costs, support us here! I know the qualifying times don't update properly if you go into a different server and run a faster time. This problem didn't happen in testing, but I know how to fix it so it will be fixed tomorrow. Alright the timing issue should be fixed now. If your fast time doesn't count, make sure it counted on the results page and then let me know. It should be fixed now though. i log into the qualifying servers and it disconects me for client track modified does not match servers track and i downloaded the track off the website?. ScrubMasterr m8 wrote: i log into the qualifying servers and it disconects me for client track modified does not match servers track and i downloaded the track off the website?. 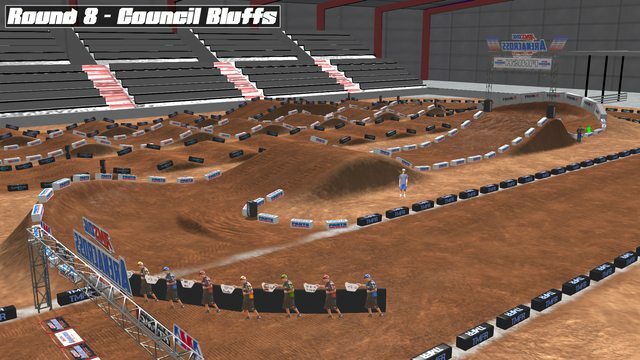 You need round 1 for all the tracks in the series to work. In other news, times on the qualifying page now update every minute instead of whenever you refresh the page, so the page should load exponentially faster now. Just don't expect to see your updated time for a couple minutes after the server restarts. what time is the race tonight?